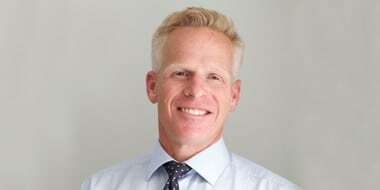 The International Consortium for Health Outcomes Measurement (ICHOM) announced today that physician-entrepreneur Dr Neil Bacon has been appointed as its new President and CEO, effective October 1, 2018. Dr Bacon succeeds Dr Christina Akerman, who has returned to her native Sweden after four highly successful years as President. 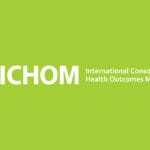 Dr Bacon’s mandate is to take ICHOM, the world leader in developing and supporting implementation of global outcome standards across the disease burden, to the next level. Outcome measurement must spread across every health care delivery organization and nation. ICHOM is also in the initial stages of establishing the first platform for benchmarking outcomes across countries that will enable unprecedented innovation in health care. Dr Bacon, a nephrologist trained at Oxford and Harvard, is a distinguished academic clinician and health information technology entrepreneur. He is an internationally recognized leader in quality measurement and engaging patients in their health. Dr Bacon founded Doctors.net.uk in 1996, now one of the world’s largest online medical networks used by nearly one quarter of a million physicians worldwide to rapidly obtain clinical information, education, medical news, and career opportunities. In recognition of his ground breaking contributions utilizing the Internet to improve healthcare, he was named a Fellow of the Royal College of Physicians in London in 2015. In 2008, Dr Bacon founded iWantGreatCare, an independent organization enabling patients to rate and review their doctors, dentists, hospitals, after-care facilities, and medications where he was CEO. With reviews from more than 5 million patients in 23 countries, iWantGreatCare has become a powerful tool for driving health care improvement worldwide. ICHOM is an independent non-profit organization with offices in Cambridge, Massachusetts and London, England. It was founded in 2012 by Professor Michael E. Porter of Harvard Business School, and Dr Stefan Larsson of the Boston Consulting Group in partnership with Sweden’s Karolinska Institute with the mission of driving the adoption of value–based health care worldwide. In addition to Professor Porter ICHOM’s board includes Dr Larsson, Professor Martin Ingvar of Karolinska Institute, and Dr Donald Berwick, founder of the Institute for Healthcare Improvement and former Administrator of the Centers for Medicare & Medicaid Services. 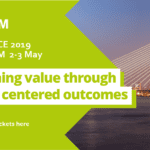 ICHOM’s mission is to catalyse the global movement to transform health care worldwide through creating international standards for the outcomes that matter most for patients by using medical conditions. Outcome standards are developed and updated over time by international teams of leading clinicians, investigators, and patients in a rigorous process including publication in peer reviewed journals. ICHOM standard sets have been developed in 26 conditions including stroke, diabetes, and ischemic heart disease, representing 25% of the global disease burden. ICHOM also assists providers on how to implement outcome measures and utilize outcomes to improve patient care. To date, ICHOM has worked with over 600 provider organizations, 15 national registries, and across 30 countries. ICHOM joins the launch of the IMI BigData@Heart project! !